To accommodate the senators, and to guard the sensitive information, the FBI’s report is expected to be held in a secure room normally reserved only for classified matters. There are several of these rooms in the Capitol complex, but senators usually use one in the basement of the Capitol Visitor Center just off the Senate side. WASHINGTON (AP) — All 100 senators, and a handful of Senate staff, will be able to read the FBI’s new report on sexual misconduct allegations against Supreme Court nominee Brett Kavanaugh. But it’s unclear if the public will see it. Background checks are a routine part of any nominee’s vetting process and are generally delivered to the Senate without much fanfare. This background check, requested by a trio of senators who are undecided on Kavanaugh’s confirmation, will be different. It’s expected that many senators will want to read or be briefed on the supplemental background check. The report will review allegations from California professor Christine Blasey Ford, who says Kavanaugh sexually assaulted her when both were teenagers, and from Kavanaugh’s Yale classmate Deborah Ramirez, who says he exposed himself to her at a party when both were freshmen. Kavanaugh has denied their accusations. 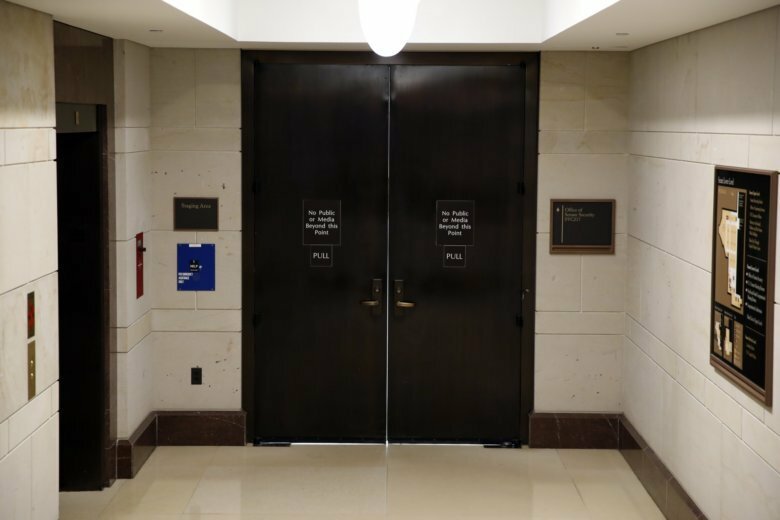 To accommodate the senators, and to guard the sensitive information, the FBI’s report is expected to be held in a secure room normally reserved only for classified matters. There are several of these rooms in the Capitol complex, but senators usually use one in the basement of the Capitol Visitor Center just off the Senate side. The rooms are called SCIFs, or Sensitive Compartmented Information Facilities. Senate Judiciary Committee Chairman Chuck Grassley, who tweeted early Thursday that he had received the report, is expected to read it first, followed by his colleagues either individually or possibly in groups. According to a preliminary schedule, Republicans will read the first hour, starting Thursday morning, and Democrats will read the hour after that, according to a person who was briefed on the plan. The person was not authorized to release the information and requested anonymity. There are nine staff members — both Republicans and Democrats — who have access to the report and can brief members who don’t want to read it in detail. No copies will be made of the report, as is standard, so senators will have to go to the room to learn what is in it. And because the report is confidential, they will be expected not to repeat what they learn. The rules for keeping investigations confidential and closely held were laid out in an agreement with the governing background checks dating from the Obama administration. It’s unclear whether there will be a public summary of the information, or whether the White House would be allowed to release portions of the report.